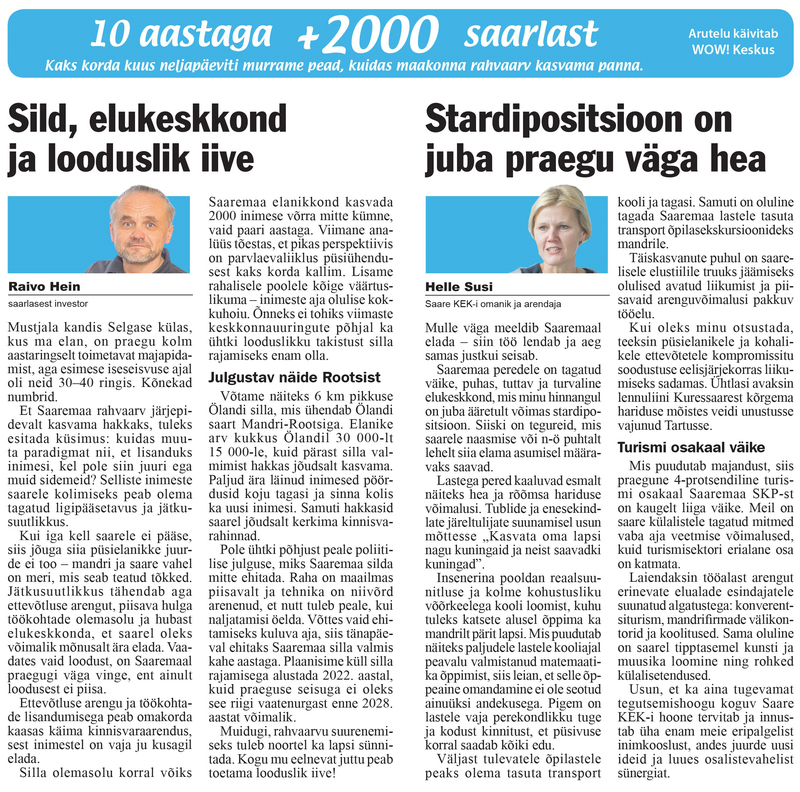 As of today, the newspaper Meie Maa started a new section called „+2000 islanders within 10 years”, where the issue of how to increase the population of Saaremaa island is raised twice a month. The first discussion of the section was set about by the local entrepreneur Raivo Hein and developer Helle Susi. We are very glad that the WOW! Centre can be a part of bringing such an important issue into the focus of a social debate.